Come Forth Wanderers, Outcasts & Exiles! 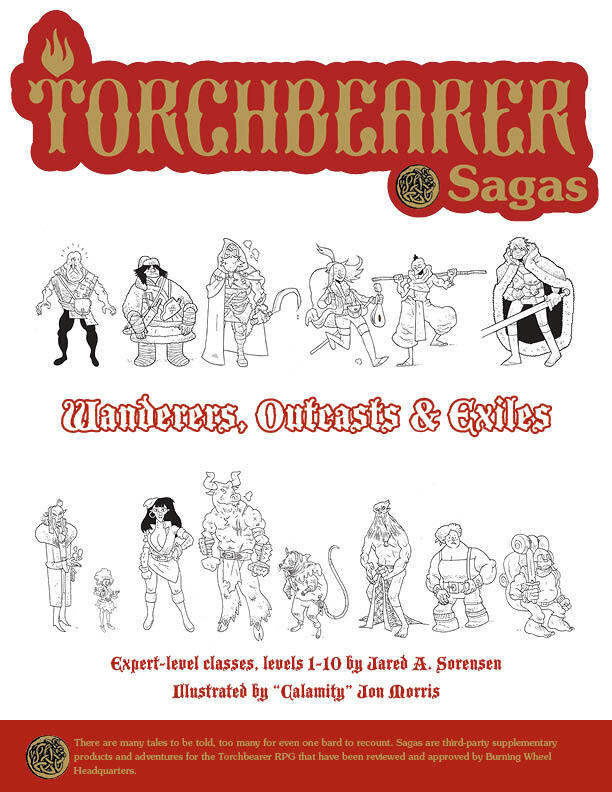 Jared has just released Wanderers, Outcasts & Exiles, a new Torchbearer Sagas supplement! A dozen strange heroes from distant lands, weird cultures and unfortunate origins for the Torchbearer roleplaying game. Includes 12 new classes (levels 1-10), new gear, new weapons and armor, new spells, new locations and two additional bonus character classes! Just in case you’re confused by Jared math, that’s 14 new character classes all together, from the Human Assassin to the Halfling Thain. Get it today for $10! This entry was posted in Torchbearer Sagas and tagged Character Classes by Thor Olavsrud. Bookmark the permalink.